2013 California Green Building Standards Code (CALGreen) (Title 24, Part 11) is the nation’s first mandatory statewide green building standard. The California Air Resources Board has estimated that CALGreen will curb greenhouse gas emissions (GHG) by 3 million metric tons in 2020, helping the state reach its goal of 33% GHG reduction this decade. What’s new in the residential and non-residential standards? The California Energy Commission (CEC) is authorized to establish building energy efficiency requirements, both the California Energy Code and CALGreen. CEC is responsible for overseeing the public process and rulemaking proceeding. California’s Building Energy Efficiency Standards are updated on an approximately three-year cycle. 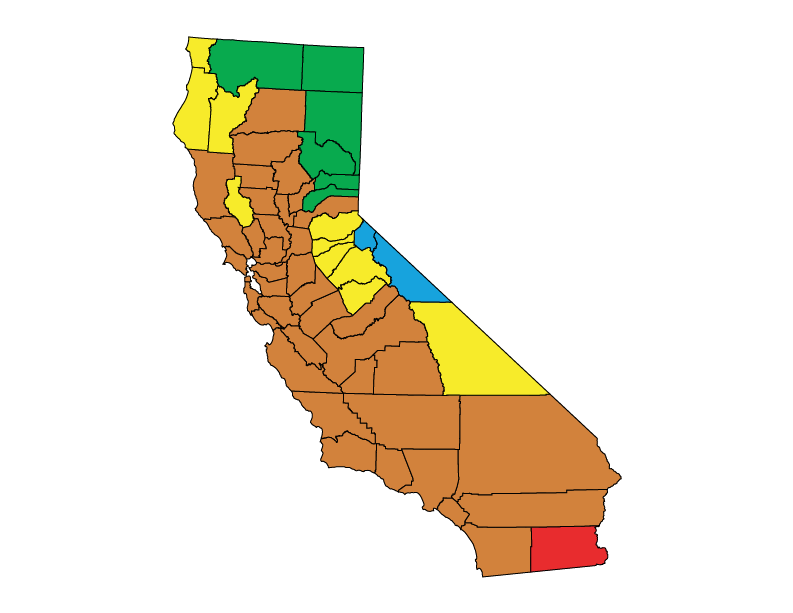 Information on previous California energy standards is available here. The 2016 Building Energy Efficiency Standards go into effect. Read the press release on the new standards here. The California Energy Commission publishes the Existing Buildings Energy Efficiency Action Plan. The 2013 Standards become effective. They are expected to save 25% more energy than the 2008 Standards. The commercial provisions exceed the efficiency of ASHRAE 90.1-2010; the residential provisions exceed the efficiency of the 2012 IECC. Both standards are mandatory statewide. Approved by a 4-0 vote by the CEC, the upgraded standards include improved windows, insulation, lighting, air-conditioning systems and other features to reduce energy consumption in California homes and businesses. The Building Standards Commission approves the 2013 Standards for publication. The San Francisco Chronicle publishes a lengthy editorial, titled A Green Future Starts a Home for Californians, in favor of the update to California’s state building energy code (Title 24, Part 6), a part of the 2013 Building Energy Efficiency Standards (BEES). The article highlights the California Energy Commission’s ability to enlist the support of major stakeholders including builders, utilities, and environmental groups. Additionally, the editorial mentions that the adoption of these regulations will have a relatively minimal effect on the cost of housing. The California Energy Commission (CEC) prepares a 2013 update to the state building energy code (Title 24, Part 6). On May 31, the CEC approves the updates. The original draft represents a 30% energy savings over the current 2008 version. The next draft version of the energy code is roughly 10% above the 2012 IECC and 25% over the previous 2008 standards. Public comment periods and hearings take place. San Francisco approves ground-breaking green building legislation to improve energy efficiency in existing buildings. The Board of Supervisors passes an ordinance codifying the recommendations of the Existing Commercial Building Task Force. Under the ordinance, non-residential building owners are required to benchmark the energy use of their buildings and disclose the results annually to the city and, thereby, the public. The next phase of the ordinance requires building owners to conduct energy audits, starting with commercial properties larger than 50,000 ft2 in October 2011. By 2013, the rules are to apply to all commercial properties 10,000 ft2 or larger. California adopts the nation’s first mandatory green building standards. Effective January 1, 2011, all new buildings must comply with the 2010 California Green Building Standards Code (CALGREEN). The California Air Resources Board estimates that the mandatory provisions will curb greenhouse gas emissions (GHG) by 3 million metric tons in 2020, helping the state reach its goal of 33 percent GHG reduction this decade. Among other provisions, CALGREEN will require 20 percent mandatory reduction in indoor water use, separate water meters for nonresidential buildings’ indoor and outdoor water use, diversion of 50 percent of construction waste from landfills, mandatory inspections of energy systems for nonresidential buildings over 10,000 square feet, and the use of low-pollutant emitting interior finish materials such as paints, carpet, vinyl flooring and particle board. The 2008 Standards become effective. A first analysis of the 2008 Standards reveals an average energy performance at least 21% more efficient than ASHRAE 90.1-2004. Assembly Bill No. 758 is approved by the governor. This legislation requires the California Energy Commission, by March 1, 2010, to establish a regulatory proceeding to develop a comprehensive program to achieve greater energy savings in the state’s existing residential and nonresidential building stock. The Energy Commission is required to consult with specified entities and to hold at least three public hearings. The bill also requires the Public Utilities Commission (PUC), by March 1, 2010, to open a new proceeding or amend an existing proceeding to investigate the ability of electrical corporations and gas corporations to provide energy efficiency financing options to their customers to implement the comprehensive program. Local publicly owned electric utilities, by a specified date, would be responsible for implementing an energy efficiency program that recognizes the Legislature’s intent to encourage energy savings and greenhouse gas emission reductions in existing residential and nonresidential buildings. The California Public Utilities Commission approves a three-year $3.1 billion energy efficiency budget for the state’s four major investor-owned utilities. The decision also allocates money for retrofitting residential buildings, making public buildings more energy efficient, and delivering zero net energy homes and commercial buildings. A bill is introduced in the state assembly that would mandate “zero net energy” standards for residential buildings starting in 2020. This bill eventually dies in early 2010. Governor Arnold Schwarzenegger issues Executive Order S-20-04 on December 14, 2004, known as the Green Building Initiative. It lays out a comprehensive set of actions for California to take in order to improve energy efficiency in nonresidential buildings. The California Energy Commission is directed to undertake all actions within its authority to increase the efficiency requirements in the Building Energy Efficiency Standards for nonresidential buildings by 20% by 2015. In 1974 the California legislature passes the Warren-Alquist Act, establishing the California Energy Commission and authorizing the Commission to establish energy requirements for both residential and commercial buildings. The first statewide energy requirements are established in 1975 by the Department of Housing and Community Development for all low-rise residential buildings.